This present volume has been compiled from the most recent writings of a member of the Order of Nine Angles. 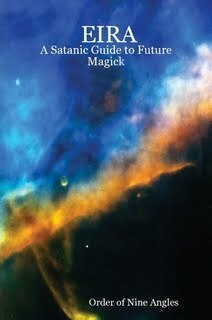 It serves as a pointer towards the future - of Magick, and of Western evolution. The author is well aware that written works such as this are merely shadows of what cannot, at present, be adequately expressed. And yet, via these writings the real motives of Satanists in the world may begin to be discerned. Perhaps then another nameless insight will be presenced, and one more nexion shall start its slow opening.